Rooster Radio brings you stories and insights from interesting people doing amazing things. The podcast reveals business and personal growth learnings from entrepreneurs and experts in business, leadership, marketing, science, technology, health, hospitality and much more. Hosted by James Begley and Andrew Montesi. Rooster Radio focuses on the influencers who are taking risks, overcoming challenges, leading teams and taking the world on. We delve into their rarely told stories of success, failure and lessons learned. Find out more and sign up for news and events and view the full episode list at our website, http://roosterradio.biz. You can show your support for Rooster Radio by becoming a member here https://www.patreon.com/roosterradio. 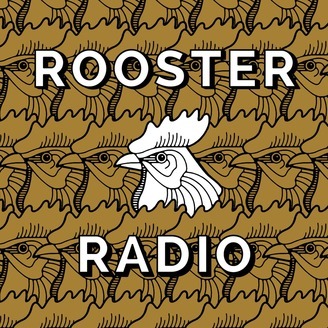 Early traction: Since launching in October 2015, Rooster Radio quickly gained momentum. -	Rated five stars in Apple Podcasts -	Featured under business "new and noteworthy" in Apple Podcasts -	Peaked in top 15 business podcasts on Apple Podcasts Guests: Rooster Radio secures high calibre guests who are excelling in the world of business, entrepreneurship and sport in Australia. Previous guests include Coopers Brewery chairman Glenn Cooper, Forbes editor-at-large Rich Karlgaard, AFL legend Matthew Pavlich, Australian Fashion Labels founders Dean and Melanie Flintoft, global business growth expert Jana Matthews and Australian of the Year (SA) Dr John Greenwood, with many more influential and interesting guests to come. Hosts: Andrew Montesi, founder at Apiro Consulting and Apiro Media head of marketing at PickStar, media and marketing specialist, entrepreneur and former TV news reporter. http://apiropodcasts.com & http://apiroconsulting.com James Begley, founder of PickStar and Tract Leadership, leadership consultant, entrepreneur and former AFL footballer. 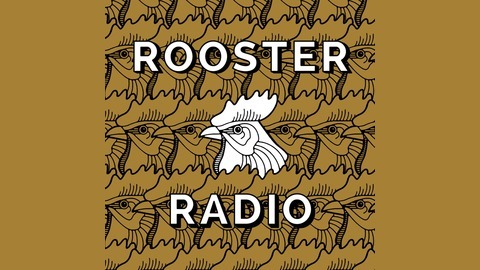 http://jamesbegley.com.au Rooster Radio is made in Adelaide, South Australia by Apiro Media - http://apiropodcasts.com http://roosterradio.biz http://facebook.com/roosterradioHQ. It was episode 100, when Rooster Radio co-host James Begley unpacked what was the hardest year of his life, in raw detail. A number of our listeners were a bit stunned - it seems not many people understand the financial and personal impact that running a startup can have. After posting the episode, there were more than a few phone calls from concerned mates asking if Begs was holding up ok.
Now, a year later, a lot has happened since that fateful episode. The rollercoaster has continued, but this time with more amazing successes and achievements. James' startup PickStar got funded, launched new tech, grew significantly and the future looks bright .. and yet, of course, ’the unknown' always remains. So in this episode, Andrew put Begs under the microscope … enjoy the insights and reflections.